Dr. Patrick Conway is the Chief Medical Officer at the Centers for Medicare and Medicaid Services, but he also happens to be a practicing pediatric hospitalist. So when he showed up at the Society of Hospital Medicine’s annual meeting earlier this week to deliver one of the keynote addresses, he got a warm welcome from fellow hospitalists happy to see one of their own in a real position to make decisions about Medicare’s policies. Dr. Conway gave the standard speech about what CMS officials are doing to transform the health care system. Then he turned to his hospitalist colleagues and gave them some things to do, too. Hospitalists need to partner with the hospital administration and their quality improvement teams. They need to understand their hospital’s performance data. And they need to take charge, he said, by leading multidisciplinary teams. 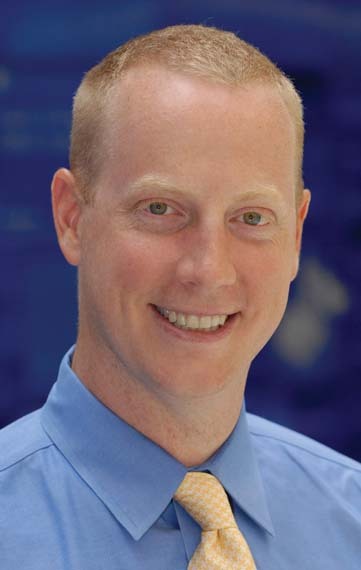 He urged the audience – hospitalists gathered in San Diego for continuing education and networking – to make an effort to lead some type of system improvement in their hospital. “I don’t actually care what it is, but work on some broader system changes in your local setting,” Dr. Conway said. If hospitalists are looking for a reason to get out in front when it comes to system change, there are plenty of financial carrots and sticks coming very soon from the Medicare program. Dr. Conway outlined many of them, from Accountable Care Organizations to the readmission reduction program to the hospital value-based purchasing program. But the best reason to be active in changing the way the health system works is for the benefit of patients, he said. That’s the reason that Dr. Conway still works as a hospitalist nearly every weekend for free. “It’s about those families that you take care of,” he said. Government officials have stood before doctors many times and talked about the need to change the perverse incentives that pay them more for caring for sick patients than for keeping people healthy to start. Dr. Richard Gilfillan, who runs the new Center for Medicare and Medicaid Innovation, had a similar pitch when he talked to more than 1,000 people who recently convened at a Washington, D.C. hotel for a day-long summit on health care innovation. The difference is, Dr. Gilfillan has some leverage. Under the Affordable Care Act, his new center is charged with rapidly testing alternative payment and health care delivery models. If those pilot projects are proven to both improve the quality of care and bring down health care costs, the Secretary of Health and Human Services can roll out the program nationally. There’s a little more paperwork involved, but that’s the general idea. 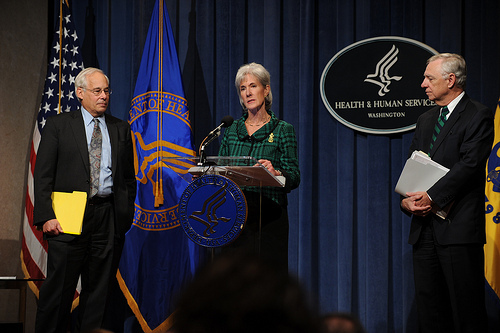 Dr. Richard Gilfillan (R), with HHS Secretary Kathleen Sebelius and former head of the Centers for Medicare and Medicaid Services, Dr. Don Berwick, in November. HHS Photo by Chris Smith. What that means is that in a relatively short amount of time, Medicare could fundamentally change the way it pays doctors. That is, if the pilot projects sponsored by the Innovation Center are successful. Dr. Gilfillan offered an example: Let’s say the Innovation Center launches a project where it pays primary care physicians an extra $10 per patient per month to coordinate care. If officials at the Innovation Center can prove that the project improves outcomes and reduces costs, HHS can publish regulations to roll it out to primary care physicians around the country. “As you can see, this is a powerful tool for changing the way we deliver care,” Dr. Gilfillan said at the summit. The Innovation Center has been around for about a year and officials there have been busy putting together a set of pilot projects that look at new ways to deliver primary care and home-based care. They are also testing other concepts like bundled payments and accountable care organizations. Check out the Innovation Center’s report on its first year for descriptions of all the projects. One thing they are trying to do in each of the projects, Dr. Gilfillan said, is to work closely with private payers. The goal, he said, is to make life a little simpler for doctors by ensuring that when they find new payment mechanisms that work, all the payers, both public and private, will adopt it in the same way. An HHS Spin Job on Medicare Premiums? On Thursday, officials from the Health and Human Services department announced the premiums and deductibles that Medicare beneficiaries will pay in 2012. There were two main messages from those officials: that beneficiaries are paying less because utilization was down last year, and that the Affordable Care Act has had a role in bringing the costs down. These were a lot of bold statements that didn’t really seem to be backed up by any of the fact sheets put out by the agencies or in a briefing with reporters. Dr. Berwick said on the call that Medicare recipients had used less services in 2011 (the basis for 2012 premiums), but never gave a good explanation for why seniors had used less health services. Even if a reporter had wanted to probe the point, he or she first had to hack through the thicket of numbers in the HHS press releases. The conference call itself was incredibly brief, leaving very little leeway to get at the root of the complicated issues that drive Medicare premiums and deductibles. Officially, according to CMS, the hospital premium (Part A) will rise only $1 per month in 2012; the hospital deductible will rise $24 to $1,156. Those coinsurances are shouldered by only about 1% of Medicare enrollees, though. Most have more than 40 quarters of pay in the system, and thus don’t pay Part A premiums. The numbers on premiums for physician services were more confusing. According to CMS, the standard Part B monthly premium will be $99.90 in 2012, a $15.50 decrease from this year’s $115.40. The majority of beneficiaries, however, for various reasons, paid only $96.40 per month in 2011. Thus, they’ll see a $3.50 increase. But wait. The Part B premium, though, is based on annual income, so it’s hard to really give an average figure. Part B premiums are calculated to cover one-fourth the cost of physician services, plus a contingency margin that is essentially equivalent to an insurer’s reserve. This has nothing to do with health reform; it’s been a statutory requirement since, well, for a long time. And the contingency margin is always dependent on what happens with the Sustainable Growth Rate formula. CMS assumes every year that the SGR will be overturned, so that calculation also has nothing to do with health reform. 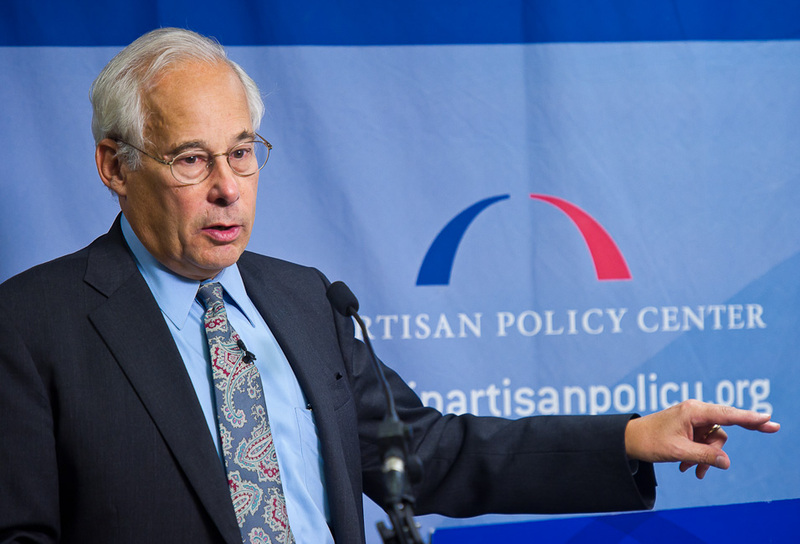 For an administration that prides itself on transparency, it seems to have done little today to pull back the curtain on Medicare spending — even as Dr. Berwick said that transparency itself had led to lower costs. 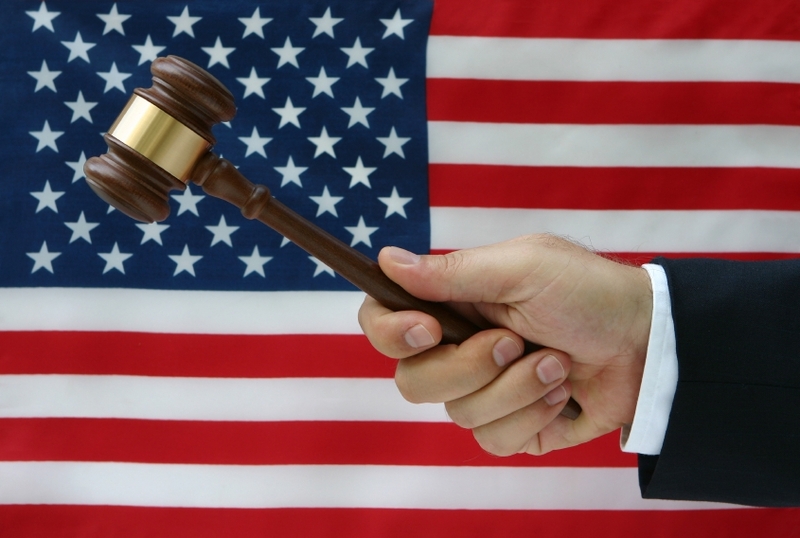 In the first appellate court decision on health reform, a three-judge panel has ruled that the Affordable Care Act does not violate the Constitution. The ruling was in response to two lawsuits brought by Liberty University and by Virginia’s Attorney General, Ken Cuccinelli. In other news, the Centers for Medicare and Medicaid Services has eased restrictions on requirements for electronic prescribing. For details on that and more, check out this week’s Policy & Practice podcast. Will Electronic Health Records Kill Private Medical Practice? Last January marked the official start of America’s ambitious program to turn its health records electronic, spearheaded by a federal incentive program that will award some U.S. physician up to $44,000 to help pay for their electronic system. 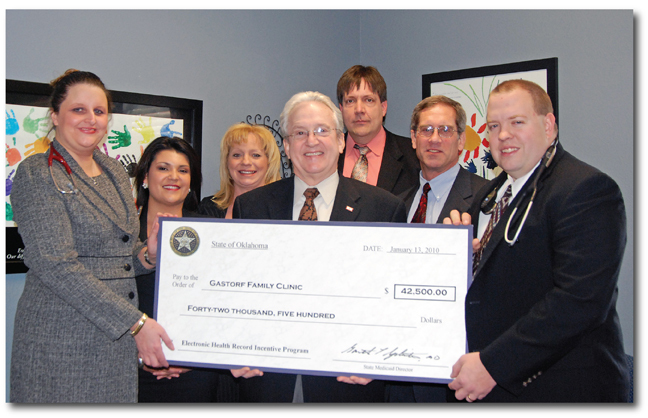 The first payments from the government’s $27 billion piggy bank earmarked for electronic health record (EHR) funding began flowing on Jan. 5, including a $42,500 initial payment to two practitioners from the Gastof Family Clinic in Durant, Okla., who had the distinction of being the first individual docs to receive incentive payments. But what fraction of the EHR cost will $44,000/physician actually cover? Can every U.S. doc, especially those in private practice, afford to pay whatever the cost balance will be to make their system work, and more importantly to keep their system in compliance with the data-reporting demands of the Center for Medicare and Medicaid Services (CMS)? Some serious questions about the cost and feasibility of compliance came up in a session I covered last week in Las Vegas at the annual meeting of the National Association of Medical Directors of Respiratory Care, when the president of the group, Dr. Steve G. Peters, a Mayo Clinic pulmonologist, talked about what he’s seen as Mayo’s massive resources mobilized in an effort to comply with the demands of the 2009 law that set up the EHR system for Medicare and Medicaid. What will this mean for the private practitioner with shallow pockets? After Dr. Peters spoke, a comment came from audience member Dr. Theodore S. Ingrassia III, a pulmonologist from Rockford, Ill. He said that he had checked into the costs, and the $44,000 incentive likely will cover just a fraction, perhaps less than 25%, of the eventual cost for IT support to refine a system so that it can do and report everything that the regulations require. And, Dr. Ingrassia added, he can’t foresee himself being in a position to spend that much. The major hospitals in his area, recognizing his dilemma and those of his fellow private docs, have offered them a deal: the hospital will fund their future IT needs if they forsake their independence and join the hospital’s staff, an option that Dr. Ingrassia didn’t like much either. His current solution? Stall, and hope the 2015 deadline, when CMS penalties are scheduled to start for physicians who have not yet installed an EHR system, will eventually get pushed back or that another, more palatable option emerges. In short, the U.S. mandate for an EHR that can report back to the government a specified list of patient measures and treatment decisions may become a big, and possibly the final nail in the coffin of private U.S. medical practice.